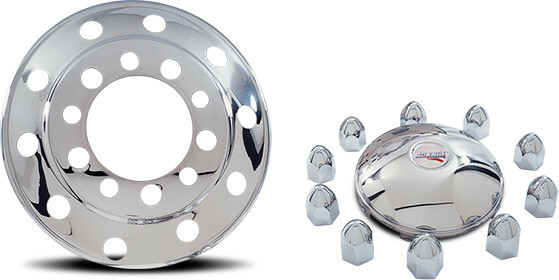 Available with or without lug nut covers and baby moons. Front full cover mounts under lug nuts. High-quality, non-magnetic 304L stainless steel—will not rust, pit, corrode or turn yellow. Fits most 22.5” and 24.5” wheels. Call to verify.